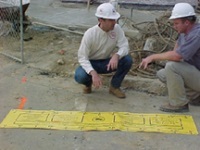 Utility contractors are constantly on the defensive when it comes to determining fault in cases of excavation damage. In many cases, contractors find themselves in court determining liability after underground facilities are hit. Contractors are often blamed for damages that are not their fault, and the often pay for damages that they are not responsible for. They also usually have to eat the down time incurred as a result of excavation damage.